If you’ve just had your wisdom teeth removed, then you can expect to experience some soreness after this procedure. For most people, the discomfort dissipates, and in a matter of a few days to a week you’re back to your old self again. However, what if the extraction site is extremely painful? In that case, you need to see your dentist immediately. You may have developed a dry socket after extraction in Memorial. Read on to learn more about this condition, what can be done and how to prevent a dry socket from happening. How Do I Know If I Have Dry Socket? After a wisdom tooth is extracted, a blood clot forms at the surgical site. The clot is much like a scab and is there to protect the bone underneath and support healing. Sometimes, however, a clot does not form or becomes dislodged. When this happens, the bone and nerve are exposed, which is very painful. If you are in great pain a few days after wisdom tooth extractions in Memorial, contact a dentist right away. Treating dry socket usually means rinsing the socket with saline to remove any trapped particles of food and built up bacteria. Then, the socket is packed with a medicated dressing to protect the surrounding tissue and bone. This will need to be changed out after a few days. Your dentist may also prescribe pain medication. Follow instructions on how to care for the surgical site, and dry socket should be healed in a week to 10 days. 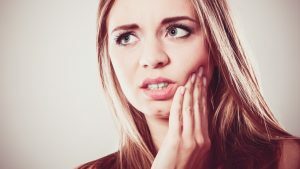 If you are experiencing unusual pain after having teeth extracted, then the problem may be dry socket. Contact a dentist in Memorial so you can have the appropriate treatment. Dr. Gray and Dr. Newman offer comprehensive dental care including general, family, restorative and cosmetic dentistry. If you would like information about tooth extraction or any other service provided, please schedule a consultation and contact the office at 832-416-1717.